The storefront door with the original mortise lock removed, prior to the commercial access control installation of the keypad lock. 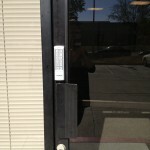 I had a project several months ago involving a commercial access control installation in Pleasanton, CA. I’ve been meaning to post an article about this job for some time. 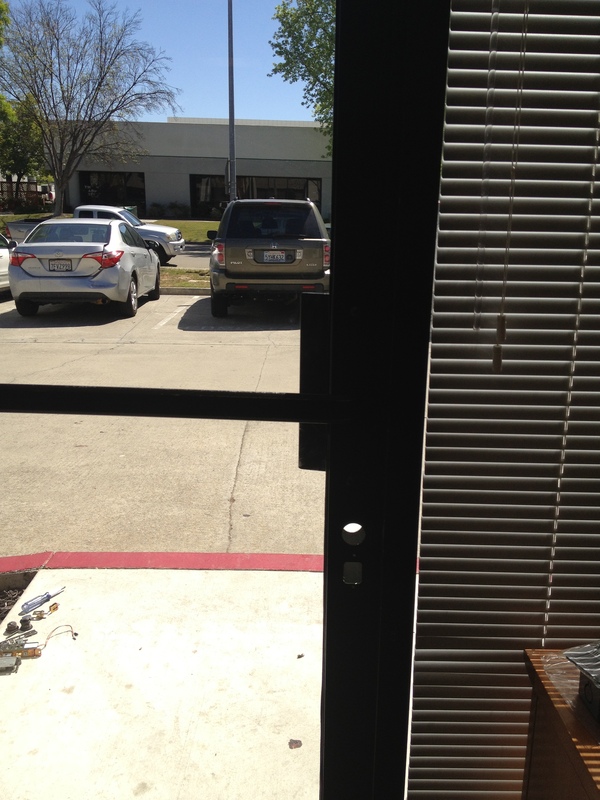 The keyless entry lock we installed for this application is very straightforward, has good functionality and works really well on storefront or narrow stile doors. In fact, I suspect there may be many other business owners out there who would be interested in installing a commercial access control system such as this one. This is not a standalone system, so it does require power (and most often wiring work) to the door. But it is a straightforward solution that can be done with very little modification to the existing door. In fact, that is the reason we went with this system. If my client decides to move his business elsewhere, it will be easy to move this system with him and re-install the old commercial hardware; leaving the smallest installation footprint (mounting or wiring holes, wires, etc.) behind. Or, if he decides not to take the system with him, the landlord will be very happy to inherit this simple, effective electronic access control system. When choosing an access control system for a commercial access control installation, there are many things to consider. Yes you want functionality but many times it is important to be able to upgrade your security without making many or any modifications to the existing openings or infrastructure. 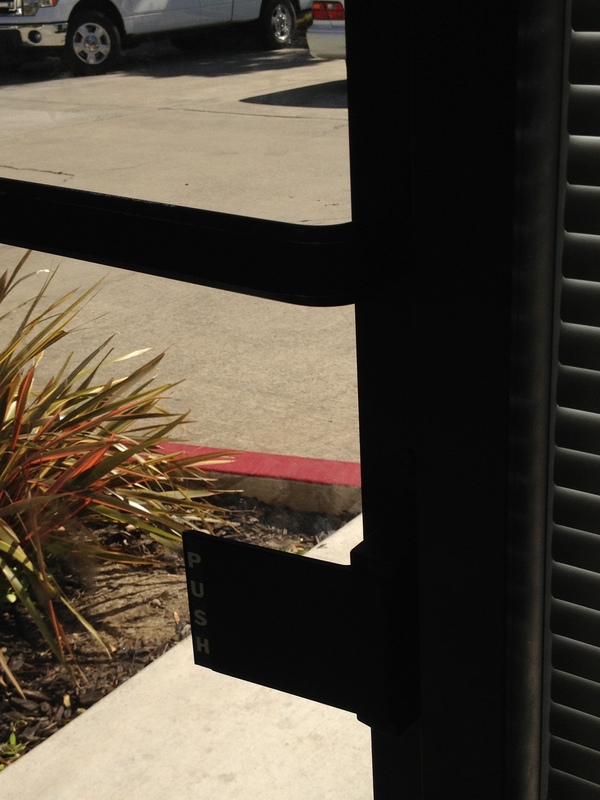 If you are leasing a commercial office or storefront and want to upgrade your commercial hardware to a keyless entry system, you may be interested in checking out this commercial access control installation project. Now you’re curious, right? 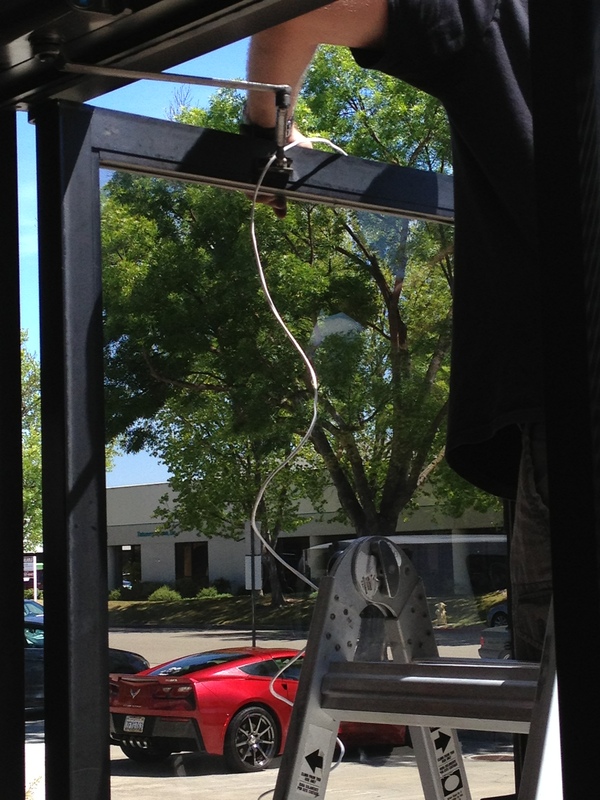 What commercial access control installation can be so exciting? Does it use the latest technology? Well, it probably costs a fortune, right? The answer to both questions is “no”. 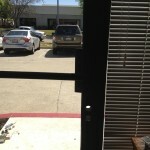 For this commercial access control installation we chose to go with a basic, electronic keyless entry lock. We decided to install a Seco-Larm Access Control Keypad. Seco-Larm commercial access control installation. 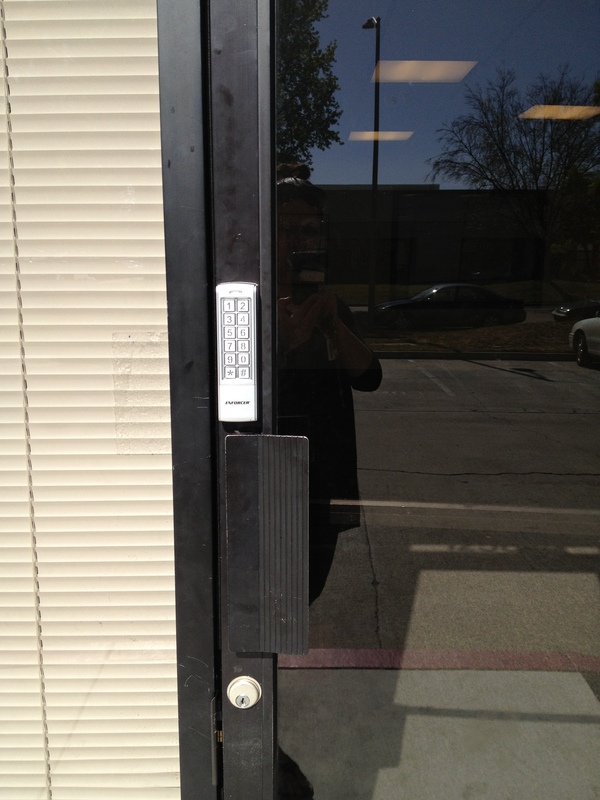 Pic shows the keypad lock after it has been installed at a business in Pleasanton, CA. The Seco-Larm has a keypad and key override. It also has the ability to program multiple users and multiple entry codes. Most importantly, it contains the functionality to operate as SOLELY a mechanical lock as well (so that it works with a key only). This is important for 3 reasons. One, it allows an authorized user to enter a code that will allow the lock to stay in the unlocked position (and operate mechanically) until it is locked again. This allows for unencumbered entry to the storefront. Two, it also keeps the path of egress safe and clear. 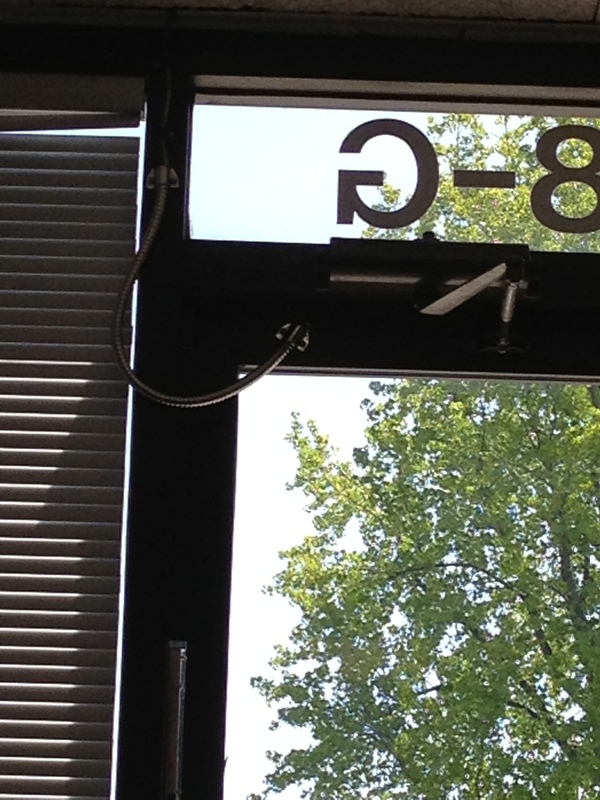 This means that people have free egress (can exit freely) with the push of a handle. Third, it is NOT connected to any alarm (like the Maglocks that are so often used) which means that, should any issue arise with the electricity or security system, the lock will still function mechanically. Even in our high tech world, having a mechanical back-up system for our security access control can be extremely important. As we know, technology is not infallible. View of the top of the inside of the commercial door. Shows the door loop which connects the access control keypad lock to the power source. 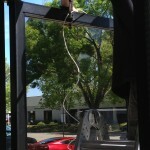 Running the wire through the top of the door. The fact that this Seco-Larm access control keypad lock has both electronic and mechanical functionalities really enhances its appeal for many applications; especially businesses, storefronts and offices. It allows the lock to function as a standard mechanical lock when necessary (no electronic unlocking/locking when put on “stay open function”). 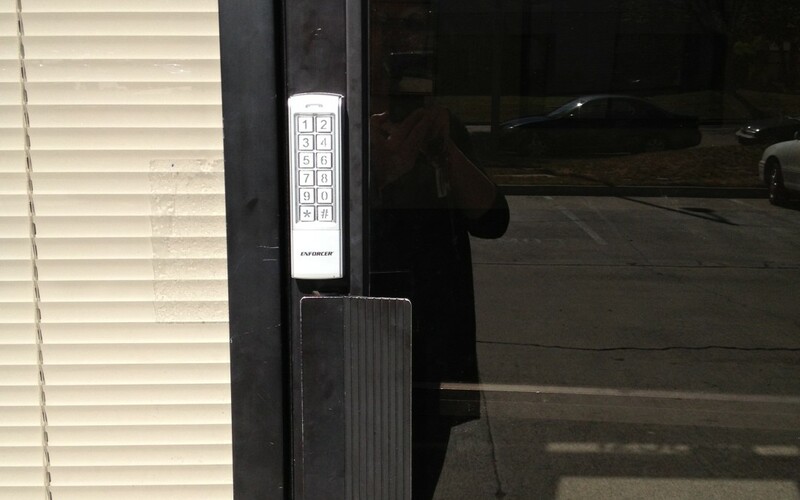 Yet, it also allows the lock to function as a standard keypad commercial access control installation. When programmed to the “stay locked” position, it will only open for a few seconds when the authorized user enters the correct code. 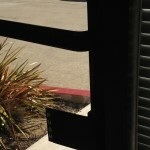 Easy egress out of the location by using a push plate. Unfortunately, the lighting in these pictures is not the greatest as the sun was shining directly on us during the install. 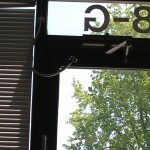 However, you can see that this access control system is simple yet effective. It’s aesthetically pleasing and looks nice, but it doesn’t stand out. In fact, you may not even notice it unless you actually enter the location. I hope you find this article interesting. Perhaps it will help you with the decision making process for your next commercial access control installation project.